Exiled from Lagos by his concerned mother, Ihechi moves in with his uncle's family, where he struggles to find himself outside his former circle of friends. Ihechi eventually finds success by leveraging his connection with a notorious prostitution linchpin and political heavyweight, earning favor among the ruling elite. But just as Ihechi is about to make his final ascent into the elite political class, he reunites with his childhood friends and experiences a crisis of conscience that forces him to question his world, his motives, and whom he should become. 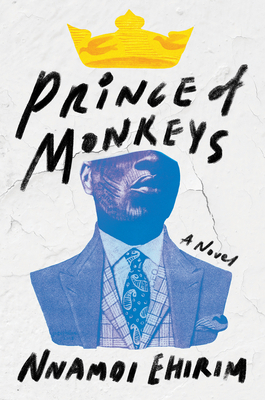 Nnamdi Ehirim's debut novel, Prince of Monkeys, is a lyrical, meditative observation of Nigerian life, religion, and politics at the end of the twentieth century. NNAMDI EHIRIM is a twenty-six-year-old Nigerian writer based in Lagos and Madrid. His writing has appeared in Afreada, Brittle Paper, Catapult, The Kalahari Review, and The Republic. He cofounded a clean-energy start-up in Nigeria and is currently pursuing an MBA focused on entrepreneurship in the renewable energy sector. Prince of Monkeys is his first novel.